What are assessment criteria for? Assessment criteria enable us to decide if a student has met the learning outcomes of a unit. More importantly, assessment criteria enable us to determine the level at which a student has performed against the learning outcomes of the unit. But perhaps most importantly, assessment criteria allow us to evaluate the learning that students have evidenced through the work they have produced. This is critical – the work they have produced may not have turned out very well, nor may it be to your liking, but what matters is the extent to which the work provides evidence of students’ learning. At UCA, assessment criteria are organised into three distinct categories: knowledge, understanding, and technical and applied skills. Knowledge-based: these should begin with ‘Knowledge of…’ and describe the areas of knowledge that students will be expected to acquire by the end of the unit. Application-based: these should begin with ‘Understanding through…’ or ‘Understanding through application of…’ and describe how students should be expected to apply the knowledge they have acquired by the end of the unit. Skills-based: these should begin with ‘Technical and applied skills through…’ and describe the technical and transferable skills that students should possess by the end of the unit. 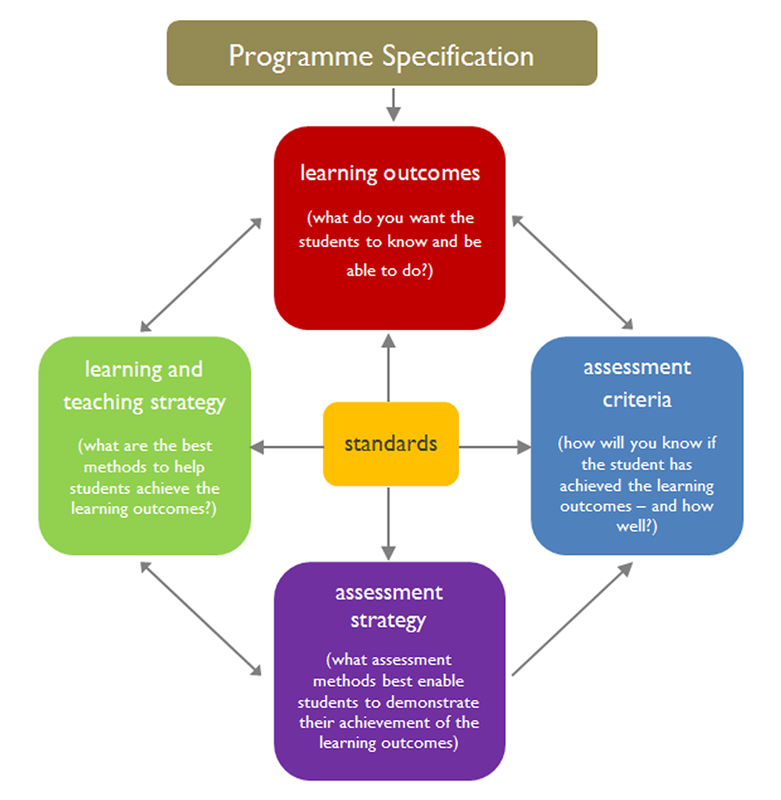 Do the criteria enable students to know what they need to do to achieve the learning outcomes? How will students (and others, such as external examiners) know what they need to do to achieve a particular grade and mark? Above all, the assessment criteria should enable you to assess students’ work openly and fairly, and make it possible for you to easily justify how marks have been awarded.